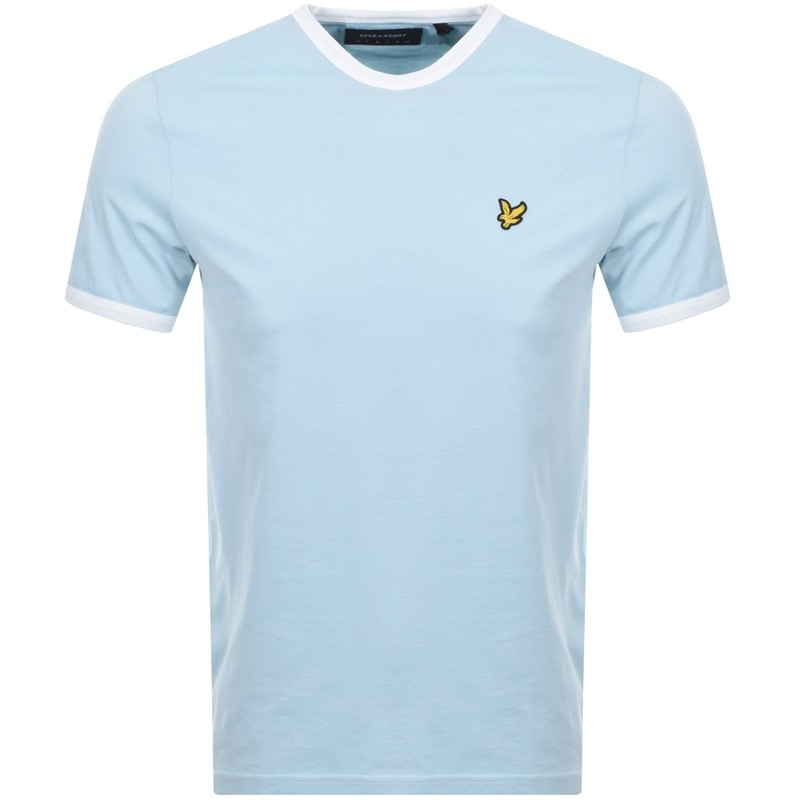 Lyle And Scott Ringer Crew Neck T Shirt In Blue Shore, A cotton jersey t shirt with a ribbed crew neckline and short sleeves both featuring a white trim. The signature embroidered Lyle And Scott Golden Eagle logo badge is situated on the left of the chest in golden yellow and black. Top stitching in white and blue. 100% Cotton. Part Of The Brand New Collection of Lyle and Scott T Shirts, Polos and Jumpers Live Online.